The Cape Charles Fishing Pier was completed in November 2005. The project received $300,000 in VSRFDF grant funds. The project included the replacement of the old fishing pier and boardwalk (now about 5 ft. wide). Also, 300 ft. of pier (10-12 ft. wide) with a small shaded area. An end platform was also added. The additional length of pier with alternating high and low areas, provides easier fishing opportunities for everyone, closer to the deeper water of the Cape Charles Harbor Federal Channel. The pier is lighted for safety and night fishing. It is free to fish from the pier and restroom facilities are available. 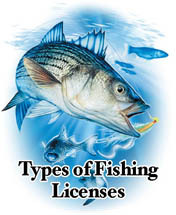 Also, the Town purchased a saltwater recreational pier fishing license to cover those fishing from the pier, so individual licenses are not necessary. Many of the popular Chesapeake Bay species may be caught off this pier. From US Rt. 13, head W on Rt. 184 (Randolph Avenue) toward Cape Charles. Turn left at the stop sign onto Fig Street, which will curve to the right and change into Mason Avenue. Go to the end of the road. Parking is along the main road.